Dimensions: Outer Dim: 20" X 13" X 6"
Inner Dim: 18" X 11" X 6"
This sink has the appearance of an old fashioned bath tub. 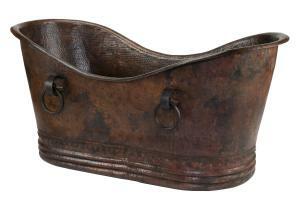 This lovely shape adds a nice decorative touch to the usefulness of this piece. 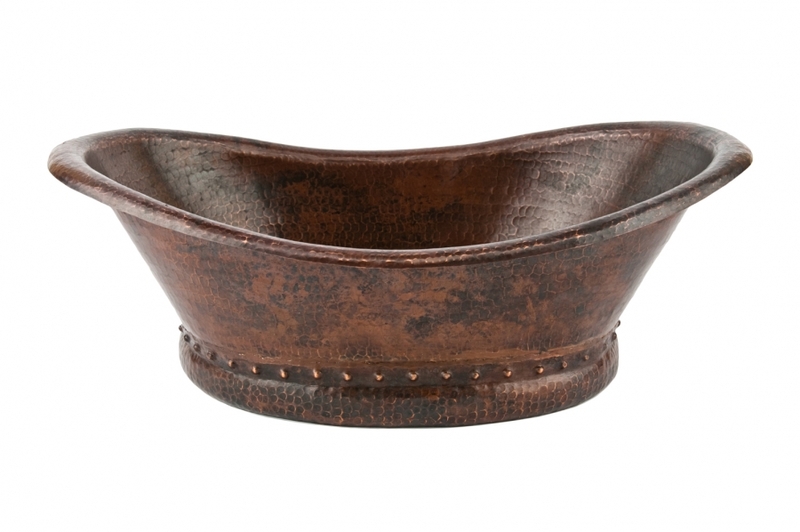 The natural copper material patina will look great with many different styles of dÈcor. The metal is very durable and will look great for many years of use.